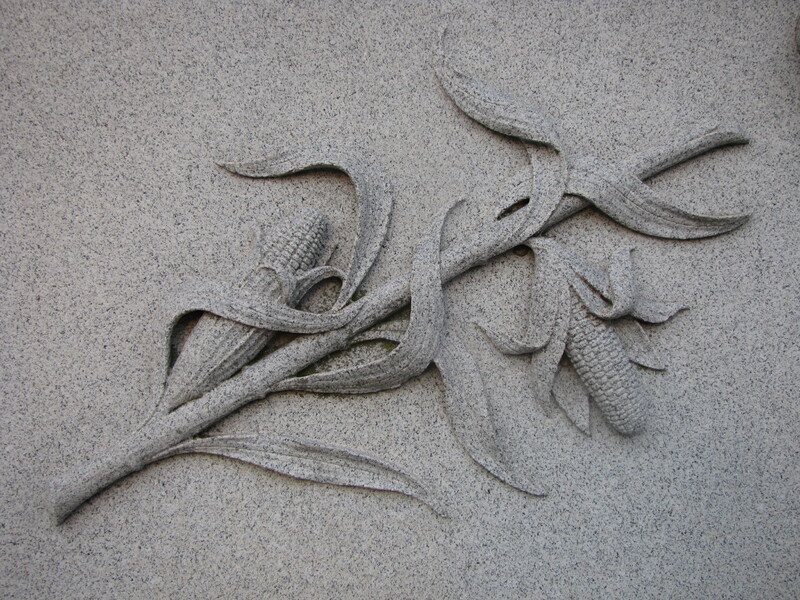 A stalk of corn is carved into the Bone Family gravestone in the Walnut Hill Cemetery at Council Bluffs, Iowa. Corn is an ancient American crop that has been exported to all corners of the world. More than 300,000 million tons of corn are grown in the United States every year. It is not only ubiquitous in our Midwestern fields but corn syrup is in nearly every food on the grocery store shelf. It is right and fitting then that corn represents fertility since its abundance is obvious. 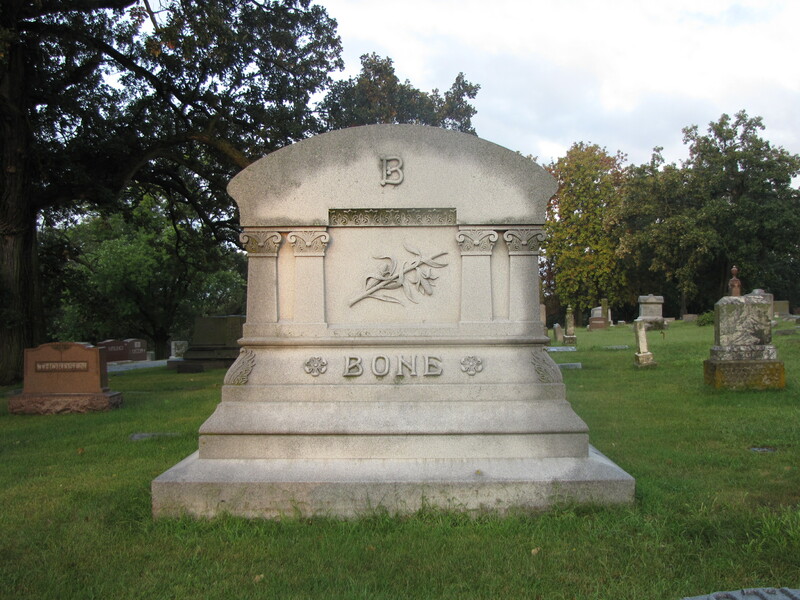 It also represents rebirth in funerary art.